BELLEVILLE – Call it a new boot camp for Belleville politicians. The city has changed its training process for the new councillors to allow for better-informed decisions in the future. 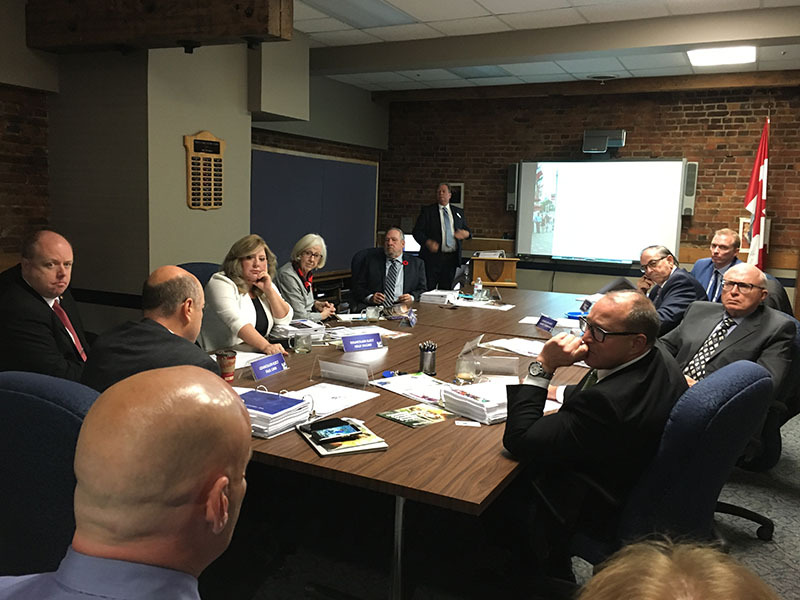 Belleville’s city councillors-elect received their first of six orientation sessions Tuesday morning. It’s a break from the traditional method of orientation done in a matter of a few days the week after being sworn in. Now, it is being spread out throughout the month before taking the oath of office. Rick Kester, Belleville’s chief administrative officer, said the more informal orientation being spread out over many weeks was done to prevent information overload. He said he hoped the new format was better because it gave the councillors more time to listen, absorb the information and ask questions. He said everything is already on the public record, so there was no harm in giving the information out before they were sworn in. The change was well received by the councillors. “Well, I think it’s important to spend the time,” said Ryan Williams, one of the new councillors. Councillors will spend their time touring facilities, listening to staff, and asking them questions. 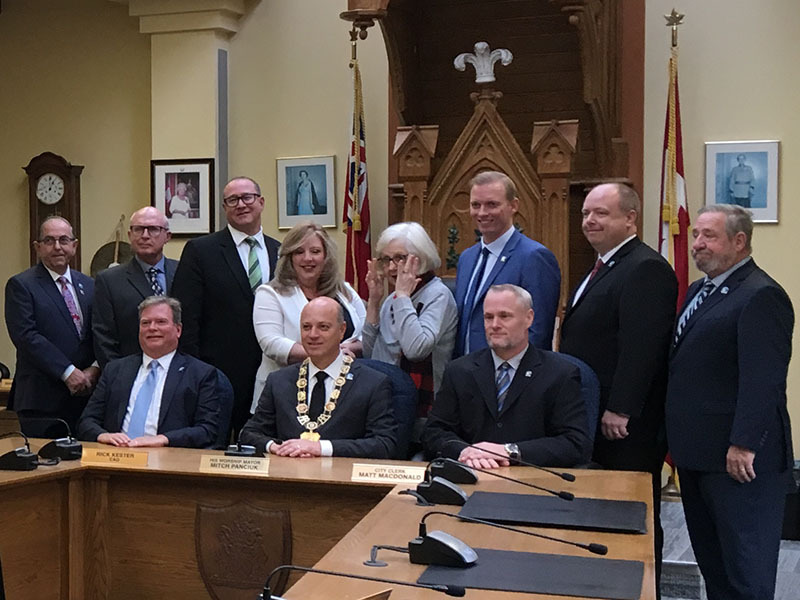 On Tuesday, councillors learned about some of the more technical aspects of city business like tax rates, how council agendas are made, etc., Kester went over the city’s history to show how it has evolved and grown under past councils. “It’s very exciting. Get a chance to learn about the city and how it works. It’s just really educational, that’s what today is, educational. Gives us an idea of what we’ll be working with over the next four years,” Sean Kelly, another new councillor, said. Kester also reminded them that they will have to answer some important questions in the community. The most immediate one was whether Belleville should have a cannabis shop. Others included everything from how the community should be governed right down to when grass should be cut in parks. Karen Poste, the city’s manager of economic and strategic initiatives, spoke about the subject that drew the most attention from the councillors, attracting doctors to the community. The issue of after-hours health services was of particular concern to veteran councillor Pat Culhane, who is returning to council after an unsuccessful bid for mayor in 2014. Even for stalwarts, there are new things to learn. “You are inundated with information. Personally, I learned some valuable lessons … and I’m open to any new councillor to sit down and discuss with them … to share my own experiences and my own learning curve and perhaps how I might shorten theirs,” she said.